some funny stories came up and they all differed...so here's mine.. It was a Friday night and I had to work on Saturday, so I vowed to myself I would only go for a little while..
A girl (who I did not know had a crush on me, she was fun and I never thought about her in any other way) did not want me to go early and kept buying me drinks.. I thought I was pretty ok when I got home and set my alarm for 7 am..
Woke up not so well, opened my window and.. bhuupppphh.. from high up all over the living room balcony (that kind of house).. But duty called and I had to work! Made it downstairs and put the kettle on, sort of.. When my dad walked in and laughed his head off..
Pissed me of big time, until he said "I have a deal for you... You go back to bed and I will call your work and call you in sick.."
PeteGill and bacwaan like this. My first time was stealing sneaky sips of wine from random glasses and bottles when my parents had guests over one night. People were moving back and forth between the living room and the backyard and it was slightly chaotic. So I hovered around and took every opprtunity I could. After about an hour of this someone notices and says to my old man, "hey I think your kid's drunk". Last edited by Bacon; 22nd September 2017 at 08:12. 1080 and bacwaan like this. My first I think was in the mid 70's at a school dance . To get Booze we would meet before the Dance and get this Guy in our class who one of these guys who had a beard when he was 14 and was way bigger than the rest of us ...his nick name was retardo 555. Any way Retardo would go across to the Pub near our School and get served at the Bottle O because he looked close enough to 18. Back then every one was drinking this horrible sort of purple stuff called 'Blackberry Nip' , I think it was Wine or a Liquor or some sort. So when we got our 'Stash' of grog we would sit in the park and try and Scull as much of this crap as we could . So into the dance I went, drunk , staggering but it gave you enough dutch courage to 'crack on the the girls' and I spent the night with a girl called Tania on my lap . We also had Green Ginger Wine, the aptly named Spumante, Rhinegold and the one that bought me undone 1'st was Captain Morgan OP Rum. A 1lt bottle finished by myself and my girlfriend at a party left me vowing NEVER to get that drunk again. Little did i know how much way worse I could get. i have really only thrown up from booze about 6-7 times in my life, ever since Jimmy Hendrix died when he choked on his self induced throw up i am paranoid about it. ever since Jimmy Hendrix died when he choked on his self induced throw up i am paranoid about it. I'd get home about 3-4pm, real sore and would lay on the sofa and watch college football. I think I got really drunk for the first time when I was about 15 or 16. The trouble is I don't think I have been sober since then . 555. It was NYE and I helped myself to some of my old mans whiskey. I took a half bottle out with me and met up with a couple of mates. They had all done the same thing so we had a right session. I was so sick afterwards that even to this day I cannot go near whiskey. we just went out for dinner and had a few glasses of retsina with a chicken salad..we were walking along the cobbled lanes climbing and winding our way back to the hotel when we chanced upon a Greek wedding...everyone grabbed us, dancing and singing and insisted it was good luck for a foreigner to make a toast with the bride and groom (for them I am guessing)...so of course we obliged..
Quarky, justcruzing1, Rockitt and 1 others like this. The sight or smell of Southern Comfort makes the hairs on the back of my neck stand up after too much of it at Blacksmiths Beach Newcastle at a very young age. 1080, Tingtong and retdent like this. I drink bundy by the gallon(some are probably cringing right now). Can't live without rum. 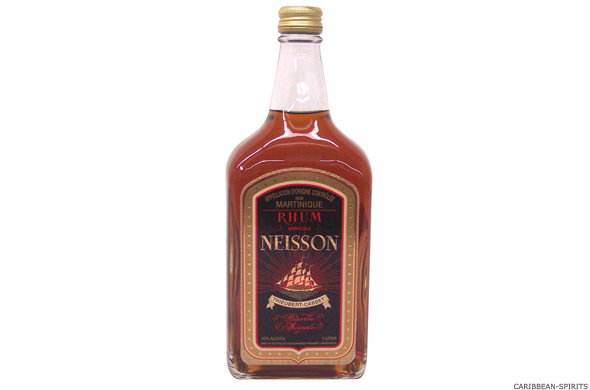 There are so many types of rum though. The variety probably outnumbers all other spirits. Some are just out of this world. I can't name any off the top of my head cause my memory not so good for some reason but yeah, the food is amazing there. Arg I had forgotten about south'o. That was my nightclub drink back in the day when I couldn't drink anymore beer. South'o and coke, but it used to give my heartburn after a while. Taste good and went down fast. "Medium bright gold colour. Nose leads with ripe fruit, treacle and rich, brown sugar aromatics. Complex characters of citrus, ginger and caramel follow. Well managed entry with supple flow and great distribution of flavours. Molasses, treacle, caramel and vanilla all in beautiful balance with fine oak support. Great complexity in elegant presentation. Long, slow finish where everything repeats. Very satisfying and rewarding."